Cloudy with occasional light rain...mainly in the morning. Thunder possible. High 51F. Winds NW at 10 to 20 mph. Chance of rain 80%..
Overcast with rain showers at times. Low around 40F. Winds N at 15 to 25 mph. Chance of rain 60%. BLOOMINGTON — A Bloomington man is charged with armed robbery after an incident Friday on South Main Street. 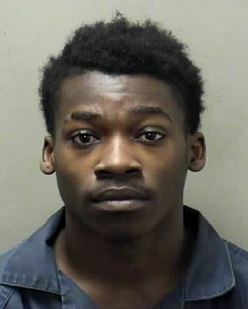 Geomonte O. Lyons, 18, is charged with aggravated robbery/indicate armed with firearm, a Class 1 felony; mob action and misdemeanor battery. He was jailed in lieu of $2,035 and ordered to avoid the victims. Bloomington police officers were dispatched about 11:40 a.m. to the 600 block of South Main Street for a report that a man and a woman were robbed by two people who ran away, police said. Officers tracked the suspects to the 200 block of East Wood Street, where they were arrested without incident. The second suspect was identified as a juvenile. Play the 2019 Auto Racing Challenge for your chance to win great prizes! Pick the 10 drivers you think will finish 1st through 10th for each race and your top 15 races count as your overall score.